The HDS-C 7/11 stationary pressure washer offers all the benefits of the mobile HDS pressure cleaners whilst housing them within a robust, ergonomic cabinet. This provides several advantages, including protection against the environment, vandalism and theft. There is also a lockable operation panel to prevent unauthorised use. Operation is straight forward. A single switch enables the user to easily select the correct programme. During the cleaning process there is also a visual display that notifies the user of the current operating status. 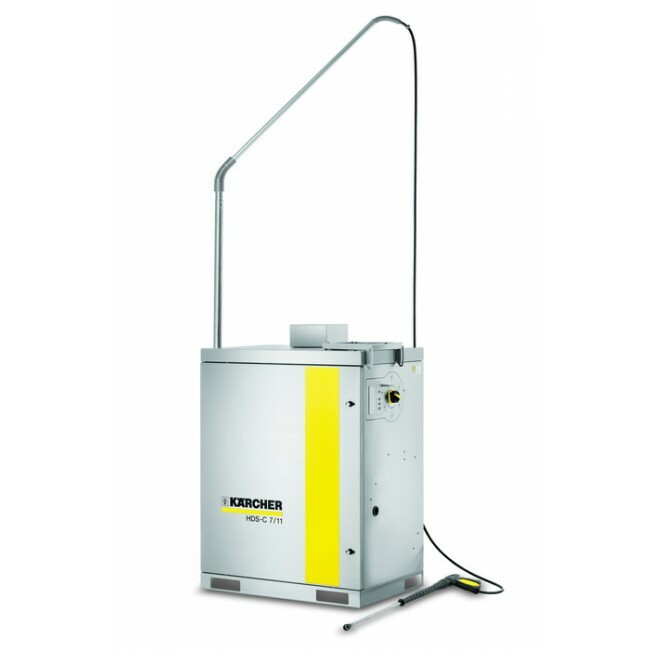 The HDS-C 7/11 is ideal for the automotive market, hire companies and industry. Please note - these cabinet units may require a site survey to ensure that it is the correct machine for the application. Each site is bespoke and a further quotation may be required for fuel supply, remote controls, emission flue and any pipework requirements. We are experts in this field - please request a call back from one of our experienced salesteam to advise.